*Must be 18 or older and live in the continental U.S. to win. And it’s hard to disagree, especially after listening to heaters like Art of War, God’s Dam and Walking Lions, one of last year’s most spun rock radio songs. Pop Evil creates music that incorporates metal, alternative, hard rock and all the best bits of electronic music. 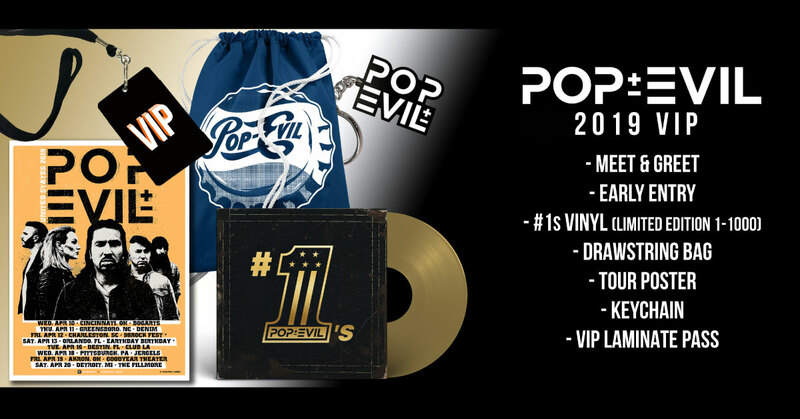 Originally formed in North Muskegon, MI, by Leigh Kakaty back in 2001, Pop Evil worked to clearly define their sound with their self-titled release. Distorted guitars. Machine-gun bass-lines. Heavy beats. Pop Evil’s music balances out that aggression with songs that show far more social grace and political awareness than your average rock band. 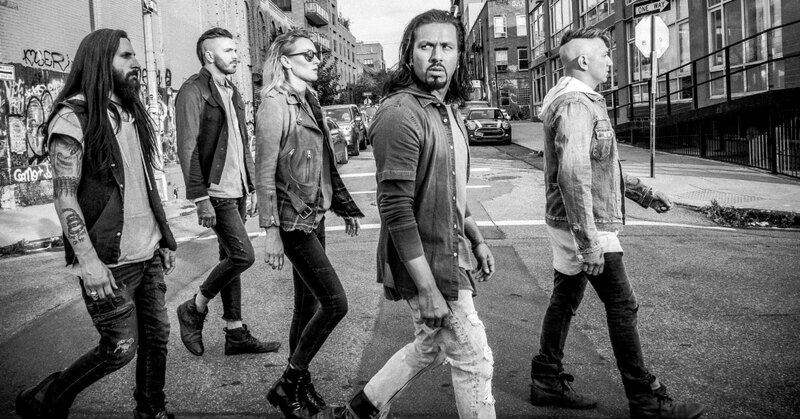 For their anthem “Be Legendary,” Pop Evil once again teamed up with American film director Columbia Tatone. They’ve previously worked together on the group’s last three videos — “A Crime to Remember,” “Waking Lions,” and the timely and poignant “Colors Bleed.” Known for her keen ability to blend cinematic action with relevant storytelling, Tatone often champions the underdogs, incorporating elements of science fiction in her work. This story is [. . .] about friendship and togetherness. A reminder that although life doesn’t always ‘play fair,’ know that our trials are a gift as you [. . .] earn the victory on the climb back up. But in a song that calls for us to be legendary, it made perfect sense to add another collaborator in the mix, legends in the light electric vehicle (LEV) game — SWAGTRON®. 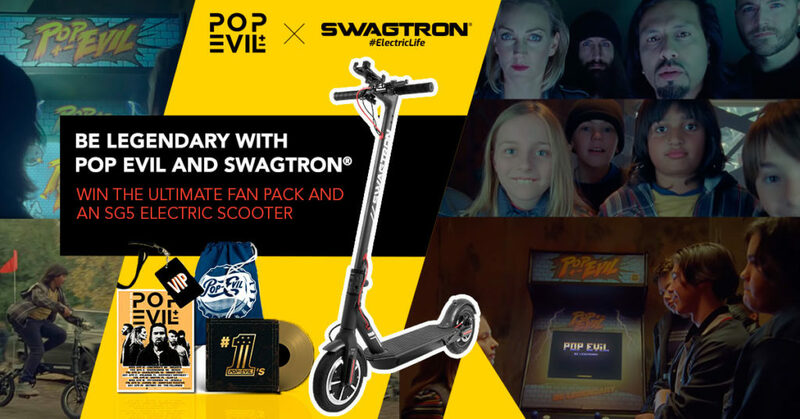 We supplied all of the electric bikes seen in the video — EB5 Pro Electric Bike and the EB7 Elite Electric Bike — as well as Swagcycle eBikes as prizes for Pop Evil’s nationwide giveaways coinciding with the band’s current tour. The anthemic flavor of Pop Evil’s “Be Legendary” song and video aligned perfectly with our goals as a company — to create a fleet of rideables that encourage personal growth through getting active and staying engaged. Engaged with each other and with the world around us. Pop Evil is in the middle of a worldwide tour in support of their self-titled album. This tour has taken them all over the North America, Europe and beyond. Now Pop Evil is taking their energetic live show to Australia for their first-ever performance in Adelaide, Melbourne, Sydney and Brisbane. After taking Australia by storm, they’ll return to the U.S. for eight additional shows as they continue to live up to their road dog status. The future of urban mobility. The ultimate city commuter. That’s the EB5 Pro in a nutshell. Powerful. Compact. Durable. Its robust motor and fast-folding design make it a no-brainer when it comes to getting around with little hassle and a lot of style. Travel at speeds up to 15.5 mph for about 15.5 miles in a single charge. Want to go faster and farther? Pedal options will let you do exactly that. It’s time to live your very best #ElectricLife. It’s time to pick up an EB5 Pro eBike from SWAGTRON®. Go the distance with an electric bike built for navigating tough city streets and demanding campuses. In-demand features packed inside a stylish, durable, lightweight, foldable frame. Powerful 350-watt motor. Extended mileage. Removable battery. Pedal like a traditional bicycle, then switch to pedal-assisted power to conquer hills or catch a quick breather. The EB7 eBike is the commuter’s dream. We’re getting smarter about how we get around. So grab the electric scooter smart enough to take you there. The Swagger 5 Elite electric scooter. Featuring a powerful motor, app integration and lightweight folding design, the foldable SG5 Elite is a sleek, elegant solution for personal transport.